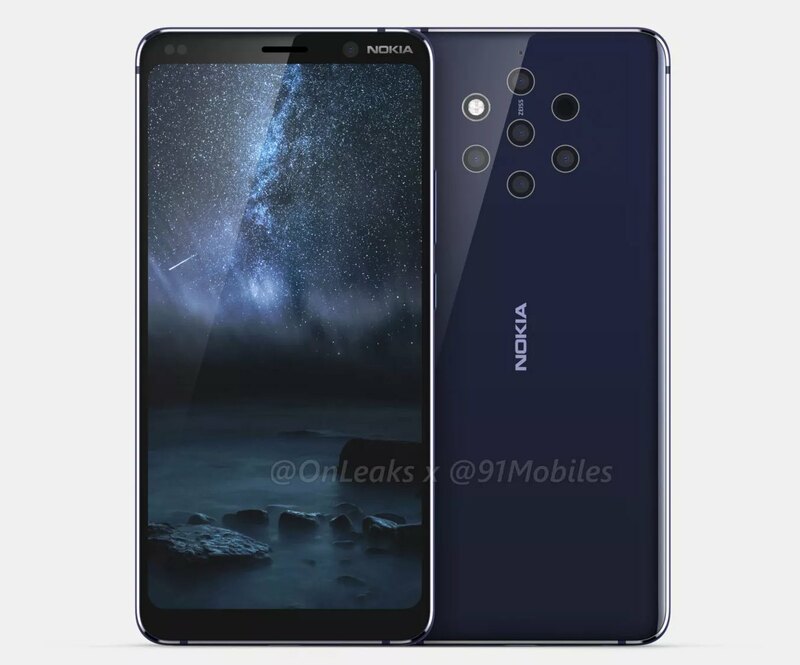 If you thought Samsung Galaxy A9‘s quad-camera is excessive, Nokia will be fitting a total of five cameras at the back of its upcoming Nokia 9 PureView. 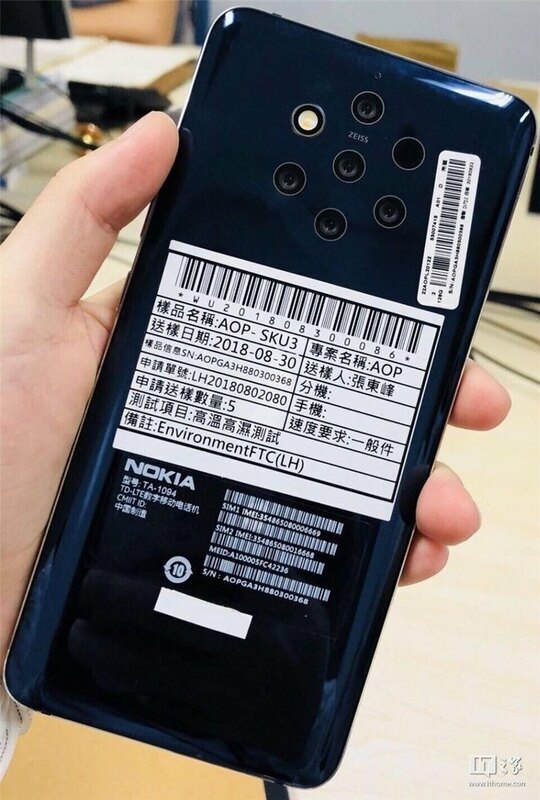 Since it carries the “PureView” branding, the device is expected to be a serious photography device that would continue the legacy of the Lumia 1020. Serial leakster, @evleaks, has dropped a press image which provides a clearer look of the device. The rear gets a total of 5 cameras that form a hexagon formation and it uses ZEISS optics. It isn’t clear what the additional cameras are for but we are guessing that both telephoto and ultra-wide-angle lenses are available. Another interesting reveal is that it will feature an in-display fingerprint sensor. The display itself looks tall without a notch but the forehead and chin appear to be rather thick for today’s standards. While the back features a 3D dual-curve design, the front appears to be flat. Like any Nokia device released recently, this an Android One device. This offers a pure stock experience and it guarantees at least 2 years of security updates. You can also be sure that it will run on Android 9 Pie out of the box and Nokia has a good track record in releasing the latest Android versions. In terms of specs, it is speculated to run on 2018’s Snapdragon 845 processor with 8GB of RAM. The display is said to be a 5.99″ AMOLED panel that pushes a Quad HD+ resolution in an 18:9 aspect ratio. It is also rumoured that it will have a 4,150mAh battery, which is more than the Galaxy Note9 but slightly smaller than the Huawei Mate 20 Pro. The device is expected to be launched on the last week of January 2019. 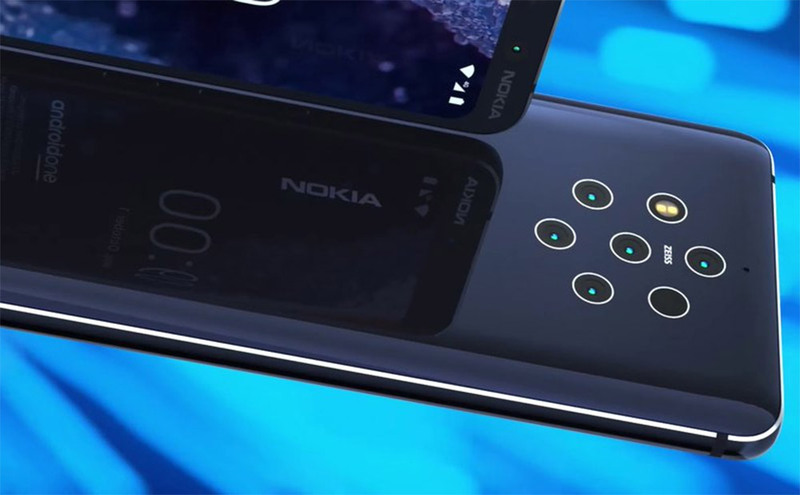 Since we are entering the new year, the Nokia 9 PureView’s hardware is already looking dated with its Snapdragon 845 unit. If we look at their current crop of devices, Nokia still has a long road ahead in terms of photography. 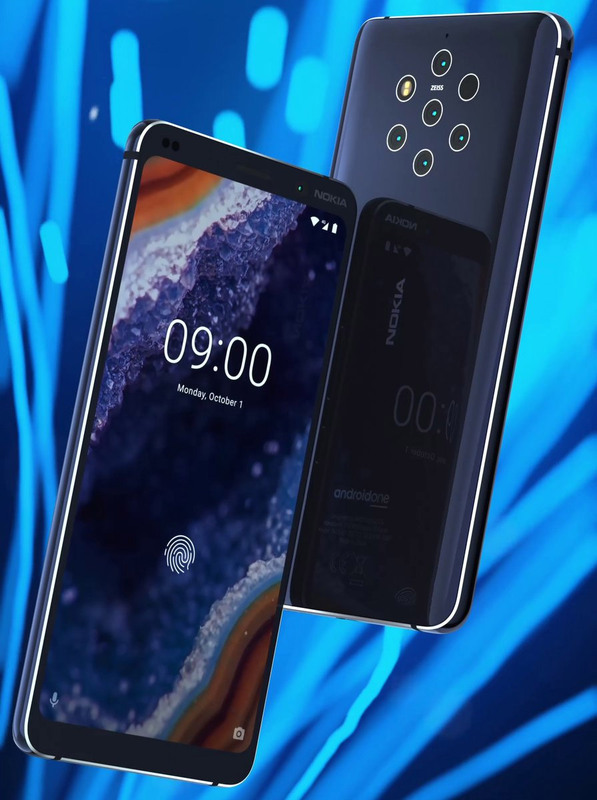 The Nokia 8’s camera was a disappointment due to its buggy software and it was ranked worse than the iPhone 6 on DxOMark Mobile.